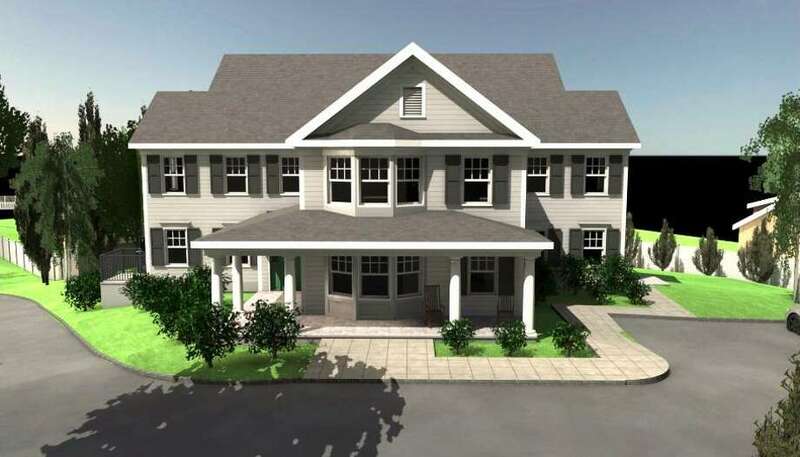 DARIEN — Baywater Properties’ plan for affordable housing on East Lane may become a reality, allowing a much larger development to be constructed nearby. If approved by zoning, 12 apartment units in two buildings may be placed on 26 East Lane. Each building would be 4,500 square feet with six parking spaces. The proposal is a piece of Baywater Properties’ plan to build 117 apartment units downtown along with retail and office space. The units on East Lane could have the income limit set at 40 percent of state median income, which as of 2017 was around $23,000 for an individual. After hearing final thoughts from the public, the Planning and Zoning Commission voted four to one to close a public hearing on the proposal and move to consider the plan. Elizabeth Riva was the lone dissenting vote, stating she wanted to hear more on the proposal. Residents again voiced their concerns with putting 12 units on a half-acre of land and who would be allowed to live there. Ed Piorkowski, a Darien resident, said the question of who is living on the property will determine the intensity of use of the property. He also drew concerns around Abilis, a nonprofit that provides services and support for special-needs individuals and their families, managing the tenants. “I don’t believe it will meet fair housing requirements,” Piorkowski said. Piorkowski said if Abilis were to handpick the residents it could go against fair housing. Additionally, if two agencies are used, one for individuals with disabilities and one for seniors, he was unsure how they could meet the requirements. “This is complex and I’m not sure a nonprofit is qualified to handle this,” said Piorkowski. John Sini, chairman for the Planning and Zoning commission, said he can assure residents the commission is making sure fair housing requirements are checked. “It’s one of the discussions we’ve had with the town attorney,” said Sini. Any lingering questions from the hearing will be brought to the town attorney. Sini said during deliberations he will discuss what the attorney tells him. Many of the residents again brought up the location of the units. Wilder Gleason, an attorney representing a neighbor, said there were clear and major cost savings for the developer using the East Lane location. Gleason also questioned where the funding would come from if the income stream is insufficient. Robert Maslan, attorney for the applicant, addressed concerns about residents at East Lane having to cross the street. “We’ve said over and over again if a resident is not able to make it to the Post Road safely, they’re just not going to do it,” said Maslan. To be qualified in terms of income level they will look at an individual’s W-2, he said. If a resident happened to have an aide paid by someone else it wouldn’t be factored in. Maslan said this is a location that will give people an option. Deliberations on the proposal will be made at the commission’s meeting on Oct. 23.